"Innovation” is the business topic of the moment, yet as a term it can be both nondescript and ubiquitous so that we barely register its meaning. But, when understood by definition — the introduction of something new, something that creates value or growth — it is powerful and exciting, it defines our contemporary experience, and its influence is felt across the world. It’s about unlocking insights and translating those insights into ideas. Innovation operates at the intersection of technology, design, and strategy, where a new wave of “innovators” are tasked with designing, creating, and building breakthrough propositions that drive change; from face-detecting systems that will authorise payments, to driverless cars and smartphones that are now millions of times more powerful than all of NASA’s combined computing in 1969! Innovation is perhaps the most powerful catalyst in galvanising growth, both for our society and businesses around the world. Do you have what it takes to make it in innovation consulting? Ask yourself these five questions. The most successful innovation consultants share a few traits that allow them to challenge convention and push boundaries. Fahrenheit 212, a global innovation and design consultancy, has spent 15 years mastering the art of spotting top talent and training them to become world-class innovators. We speak with some of the thinkers and makers at Fahrenheit 212 about identifying and cultivating the traits required to rise to the top of the innovation consulting industry. Wondering if you have what it takes? Start by asking yourself these five questions. 1. Do I constantly ask why? Innovation consulting is for the curious. Kate Fairweather, an innovation consultant at Fahrenheit 212, was seeking a role that combined her love of creative writing, exploration, and human behavior. Following college, she found an outlet in the business world through innovation consulting. “Innovation encompasses all of that, enabling me to dip in and out of different categories, craft stories, and dig deep into the consumer psyche,” Kate said. Curiosity is a part of the ethos at Fahrenheit 212. “Inquisitiveness is an everyday part of our culture — folks who succeed here have a natural desire to dive into the details, poke around where people previously took things for granted, and incessantly ask why,” Kate said. 2. Do I want more access? You can get it with the right firm. In some strategy consulting firms, access to high-level clients is reserved for C-Suite staff and partners, with the project team slotting in where needed in a more ancillary role. If your goal is to connect with key clients, look for a firm that grants this access. 3. Can I flip switches? Innovation consulting is for those with agility and stamina. The best innovation consultants are radically nimble. This includes an ability to juggle multiple projects at once. “One of my favourite parts of Fahrenheit 212 is that I work on a few projects at any given time, so I spend my day thinking about different categories,” Kate said. There will undoubtedly be moments that a consultant feels they don’t know how to solve a problem. For some, this could be debilitating. For the top innovation consultants, it’s a welcome challenge — dealing with ambiguity is the norm. “You have to be comfortable with the stress, able to think quickly on your feet, but most importantly, you need to be able to maintain the blend of creativity, curiosity, and strategic thinking that is required in this job, for any client in any industry,” Tom said. Agility also means shifting to meet industry trends. For Tom, the biggest trend in innovation is consolidation. “Every consulting firm and agency wants to get into innovation, and they are buying and building their practices at an increasing pace,” Tom said. As the industry gets more competitive, look for a firm that can differentiate itself. Some agencies move into more strategic work and some move toward execution and development. At Fahrenheit 212, “the biggest shift is our level of understanding of what innovation can do. We are getting more nuanced project briefs, working with more internal innovation teams, and seeing a faster pace of commercialization of concepts,” Tom said. 4. Am I courageous? Being creative requires confidence and skill building. The top innovation consultants can take an idea through to commercialization and bring the right stakeholders along at key points in the process. This requires a tremendous amount of confidence. “By nature, everything in innovation starts as an unsure idea, and a big part of my role is being able to clearly articulate that thought, get others excited about it, and lobby with tenacity to push it forward,” Kate said. A core trait of innovators is an ability to learn quickly, to gain an understanding of something that they aren’t an expert in. “More than anything, this requires soft skills — active listening, asking the right questions, determination, and drive. The hard skills come after,” Tom said. Fahrenheit 212 looks for self-driven people. Kate and Tom seek people with traits like empathy, creativity, imagination, vision, and resourcefulness. But consulting firms also need to deliver commercial rationale and opportunity/growth to their clients — innovation must be connected to viable businesses models. Hence the need for a specific, albeit secondary, set of hard skills. 5. Can I play nice with others? Innovation consultants know how to lean on the team. After Kate completes her early-morning creativity sessions, she often finds herself collaborating with others on her projects. “Depending on where we are in our process, I spend the rest of my day researching, cracking consumer insights, articulating an idea and its roadmap to the future, or working with designers to bring concepts to life,” she said. Learning how to build and maintain a diverse team — and embracing the fact that we all approach problems differently — is another core trait of top innovators, and one that’s embraced by Fahrenheit 212. “We make sure that every team has diverse thinkers, and encourage them to come up with alternatives to be debated,” Tom said. “We believe that innovation is a practice, and it can be trained. We spend a lot of time and effort making sure that we keep that diversity of thought at every level of our company. Get ready for the payback. Innovation consulting is challenging, but worth it. While there are many ways to gauge the success and impact of innovation, the metric that matters most to Fahrenheit 212 is its ‘commercialization rate’, the percentage of projects that move into the formal commercialization process. But both Kate and Tom also strive for an infectious feeling of excitement. Another reward is a satisfied and engaged client. “For our clients, success is when we take those breakthrough moments and create a two–sided solution that solves for an unmet consumer need while also unlocking a commercial opportunity for their business,” Kate said. Network and Train Your Brain. Tips to set yourself up for success in innovation consulting. Already creative? Then spruce up your business savvy. “Figure out the ins and outs of your current industry, learn how to navigate financial statements, or build a business model for an idea you have,” Tom said. “Innovators at Fahrenheit 212 focus on different parts of the process — but to truly be a great innovator, you need to understand all of them,” Tom said. We are proud of our partnership with Bamboo Crowd. You can find the original article here. Kate is a Senior Consultant on the Idea Development team. 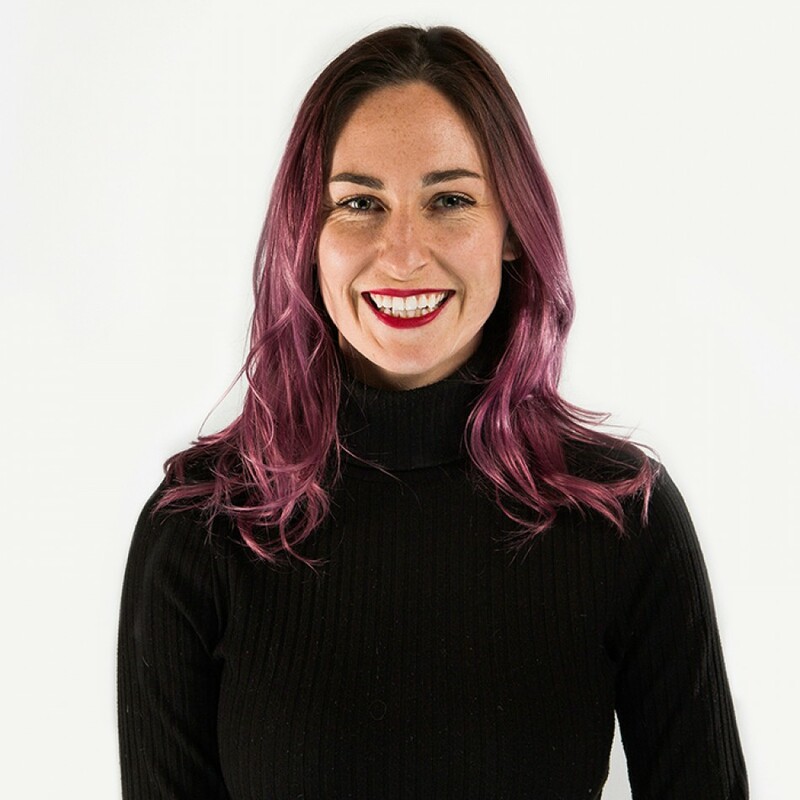 Kate combines her passion for human behavior with her love of storytelling to bring innovative ideas to Fahrenheit 212’s clients and their customers. Ever-obsessed with asking ‘why’, she gets her greatest satisfaction uncovering nuanced consumer insight and turning small human truths into big commercial ideas. 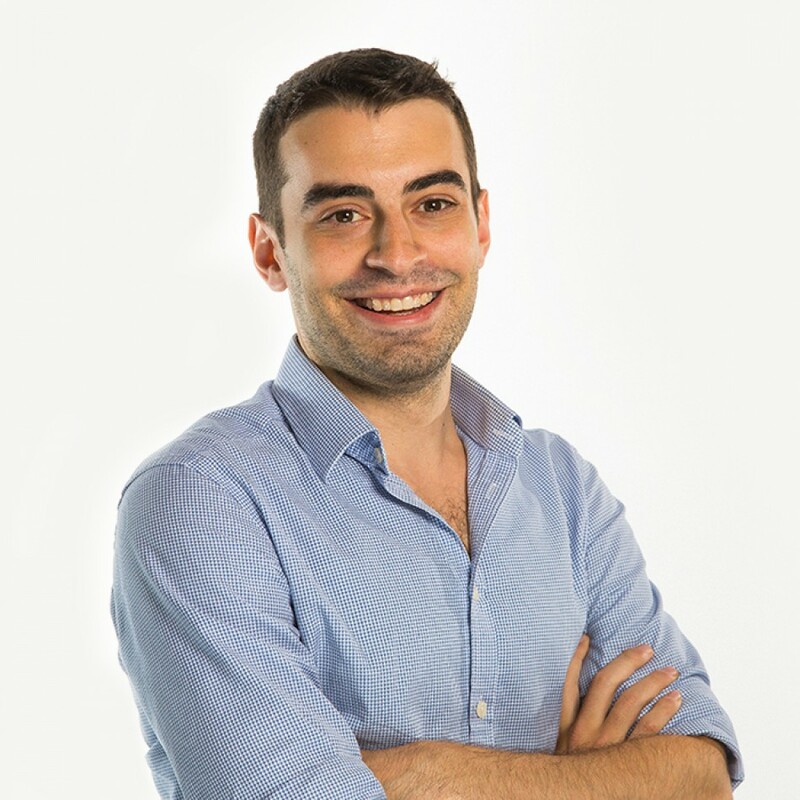 As an Engagement Manager on the Commercial Strategy team at Fahrenheit 212, Tom provides experience both developing strategic solutions and identifying relevant market trends. An engineer by training, Tom received his B.S. in Mechanical Engineering from Northeastern University. While at school, he held a wide variety of internships, from designing robots at NASA to securities lending at Goldman Sachs.